Sybille Bedford's first novel, A Legacy is a savage indictment of the brutality and anti-Semitism spawned in German officer-cadet schools, published with an introduction by the author in Penguin Modern Classics. On the marriage of Julius von Felden and Melanie Merz, the fortunes of two families are somewhat fatally entwined. 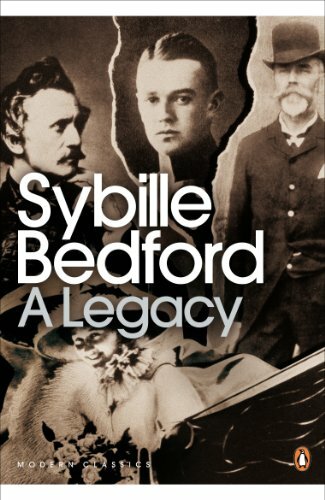 In A Legacy, Sybille Bedford depicts their vastly different worlds – the wealthy bourgeois life of the Merzes in Berlin and the aristocratic eccentricity of the von Felden dynasty in rural Baden. Portrayed with exquisite wit and acute observation, their personal upheavals and tragedies are set against the menacing backdrop of a newly unified Germany combined with Prussian militarism in the decades before the First World War. Sybille Bedford (1911-2006) was born in Berlin, Germany and educated privately in England, Italy and France. Described by Julia Neuberger as 'the finest woman writer of the 20th century', she is the author of A Favourite of the Gods (1963), Jigsaw (1989) and A Compass Error (1968). She was a Fellow of the Royal Society of Literature and Vice-President of PEN. She was awarded the OBE in 1981. If you enjoyed A Legacy, you might like L.P. Hartley's The Go-Between, also available in Penguin Modern Classics. Born in Charlottenburg and educated privately in England, Italy and France, Sybille Bedford is also the author of A FAVOURITE OF THE GODS, JIGSAW and A COMPASS ERROR. She is a Fellow of the Royal Society of Literature and Vice-President of PEN. She was awarded the OBE in 1981 and a C.Lit in 1994.